Looking for an excuse to visit the Big Apple? Come out for the second annual NYC Vegetarian Food Festival on Saturday, March 3rd and Sunday, March 4th! The event is a melting pot for foodies, locavores, vegetarians, vegans, flexitarians, and all those who want to find out more about living a healthy, sustainable lifestyle. When: Saturday and Sunday, March 3-4, from 10:00 a.m. to 5:00 p.m. The two-day event is packed with speakers, food samples, cooking demos, live music, and entertainment. Celebrate good food, good fun, and learning! Dr. Greger is a physician, author, and internationally recognized speaker on nutrition, food safety, and public health issues. He offers practical advice on how to prevent, treat, and even reverse chronic disease. His work can be found at nutritionfacts.org. Brendan Brazier, Professional Triathlete, speaker, and author of multiple nutrition books including Thrive: The Vegan Nutrition Guide to Optimal Performance in Sports and Life. Brendan is the founder of Thrive Foods Direct, a unique program that delivers fresh, organic, nutrient dense plant-based meals to you, anywhere in the US. He is also the formulator of the award-winning line of Vega nutritional products and a two-time Canadian national 50km ultra marathon champion. Brendan will discuss Plant-Based Performance Nutrition: How to unlock your mental and physical potential through food. Learn how to boost mental and physical performance on a plant-based nutrition program. Get the Yummy Plants® 101! Rebecca healed her chronic joint pain by switching to a plant-based diet and is passionate about helping others explore a plant-based life. You’ll learn tips for an easy transition to a vegan diet and strategies that make it easy to follow a vegan diet at home, at work, and at parties with friends. Certified clinical nutritionist and blogger, Gena shows us how to incorporate more raw foods into our diets. Her enthusiasm and sense of balance provide a framework to get us all excited about eating more raw veggies! Radio and TV hostess extraordinaire, Laura discusses the basics of vegan meal planning and shares full menus from weekday meals to big dinner parties. 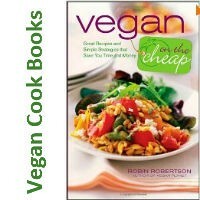 Not only can a plant-based diet be good for health, it can also be easy on the pocketbook. At a time when many people are looking for a way to cut costs, Ellen will explain how get the most flavor out of delicious, high-quality basic ingredients. ” The Veg Coach”, aka “The Broccoli Rep,” also teaches healthy cooking classes designed by respected doctors and registered dieticians. Matt will help the audience see that they can achieve what might seem like impossible goals and massive changes through repeated small, daily actions. He took 100 minutes off his marathon time to qualify for the Boston Marathon and credits a vegan diet! Ashley discusses how to become an advocate for animals. Annie is working to improve the health and well-being of New York’s students by advocating for healthy plant-based foods (including local and organic where possible), farm to school programs, school gardens, the elimination of unhealthy foods in all areas of the school (not just the cafeteria), comprehensive nutrition policy, and nutrition education. Victoria Moran, Peace, Love & Vegetables: Food for Your Soul,The author of Main Street Vegan and The Love-Powered Diet, Victoria explores the link between compassionate consumption and spiritual growth. Learn how to optimize wellness through a vegetarian dietand discover the significant ways in which foods impacts body, mind, and consciousness.Vendors include: Fruit Bliss, Sweet & Sara, Raw Ice Cream Company, Goodie Girl, Coconut Bliss, Chicago Soy Dairy, and Soap Walla. Visit the NYC Vegetarian Food Festival for the most up-to-date list of vendors. 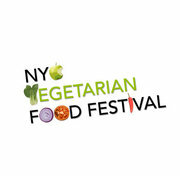 VIP admission packages are on sale through https://nycvegetarianfoodfestival.chirrpy.com. General admission tickets for $5 will be available at the door, while they last. For more event information and details, visit www.NYCVegFoodFest.com. Rebecca from the Yummy Plants community will be speaking at 10:30 AM on Saturday, March 3rd. Come and say hello; we hope to see you there!